All health funds except Bupa, and Bupa-affiliates MBF and HBA. Bupa do not question Chris's skills as a therapist. To this UK-based health fund, all those who got their diploma before a certain date (in the Eighties) under certain conditions just do not qualify for a provider number. Wrong? We think so, but get a massage from Chris, and judge for yourself. If he were a boastful kind of person, by mid-2018 Chris could've boasted he had more than 28 years' full time clinical experience, making him one of the most experienced massage therapists in Sydney. He’s also one of the most skilled (as well as a thoroughly nice guy and no, not given to boasting), incorporating a broad range of massage techniques into his treatments, which are specifically tailored to meet the needs of each person. Chris’s finely tuned palpation skills allow him to assess the best possible approach to treat conditions and release the underlying tension. In fact, a treatment may include a combination of remedial massage techniques including proprioceptive neuromuscular facilitation (PNF stretching), myofascial release and trigger point therapy. Often, Chris incorporates reflexology work into the session. All these techniques aim to assist in the rehabilitation and normalisation of the muscular system, addressing a variety of disorders, including lower back pain, neck and shoulder pain, anxiety, stress, headaches and soft tissue injuries. Importantly, these techniques help to promote wellbeing and relaxation, assisting the person to find optimal health. 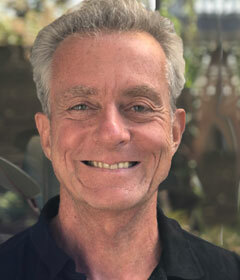 Chris taught massage therapy at Nature Care College for 8 years, teaching the full diploma from basic to advanced techniques. One of our younger therapists is actually a pupil of his. 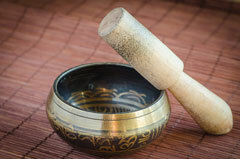 In addition to his extensive professional profile as a massage therapist, he has worked for over 25 years with the healing sounds of the Tibetan Singing Bowls. A gifted musician, Chris has made a number of CDs for relaxation and meditation, releasing Octaves From The Sun in 2001 and Beyond the Moon two years later.